In the world of the Lux, secrets thrive, lies shatter, and love is undeniable. 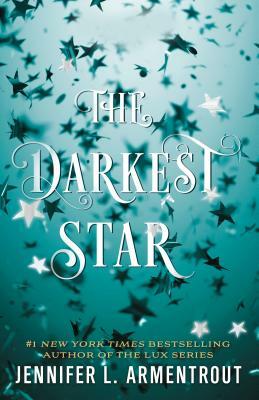 #1 New York Times, USA Today, and internationally bestselling author Jennifer L. Armentrout brings her trademark drama and intrigue to a new romantic YA science fiction series with The Darkest Star. A girl pulled into in a world she doesn't understand finds herself confronted by long buried secrets, a betrayal that could tear her life apart...and Armentrout's most swoonworthy book boyfriend yet. Jennifer L. Armentrout is a #1 New York Times, USA Today, and international bestselling author of the Lux series and other books for teens and adults. She is a #1 bestseller in Germany and Italy, and a top seller in markets around the world. In total, her young adult novels have sold over a million copies since 2011 in the US. Her YA novels have been finalists for the Goodreads Choice Awards and nominated for the YALSA Teen Top Ten. In 2017, The Problem with Forever (Harlequin Teen) won the RITA Award for best young adult novel. Armentrout lives in West Virginia with her husband and dogs.